Today is Park(ing) Day - Send Us Your Photos! We want to see your Park(ing) Day photos! Today is Park(ing) Day and we’re on the hunt for the coolest pop-up parks reclaiming parking spaces around the world! 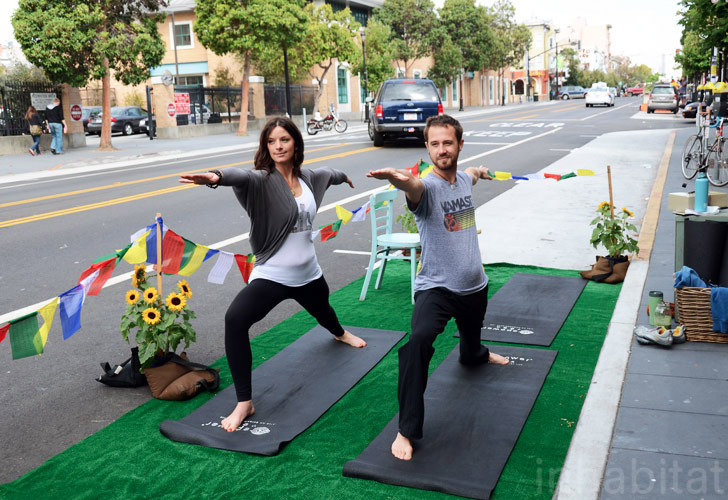 Park(ing) Day is a chance to take back the streets from gas guzzling vehicles in a creative way – and in past years we’ve seen everything from mini golf courses to tiny soccer fields and even spaces to stretch out into warrior pose. So are you joining in on the Park(ing) Day fun where you live? We want to see your pics! Tweet us your photos at @Inhabitat with the hashtag #ParkingDay, or email us at editor[at]inhabitat.com with ‘Parking Day’ in the subject line. And don’t forget to tell us where you spotted your Park(ing) Day park so that we can share your find with other readers! Today is Park(ing) Day 2013 - Send Us Your Photos!